FCR25 CMM Change Rack - CMM Inc. 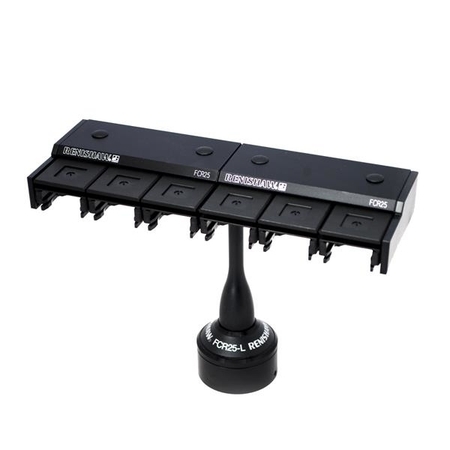 The FCR25 change rack offers a range of module changing systems. It is flexible and is suitable for automated changing of SP25M scanning and touch-trigger modules. FCR25-Triple port unit suitable for fitment to the MRS modular rack system. FCR25-L3 - 3-port stand-alone unit for smaller CMMs and optical CMMs. FCR25-L6 - 6-port stand-alone unit for smaller CMMs and optical CMMs. FCR25 port adaptor insert kit - PA25-SH and PA25-20 inserts to store SH25-# stylus holders or TP20 probe modules.